12 days sun in every one! That’s right! 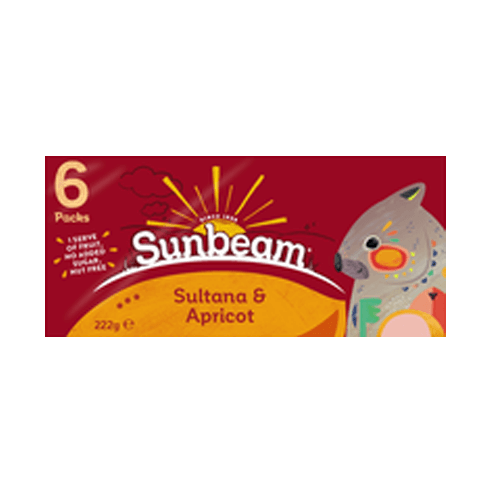 Each sultana is dried under the intense Australian sun for up to 3 weeks before harvest to develop its super sweet flavour. 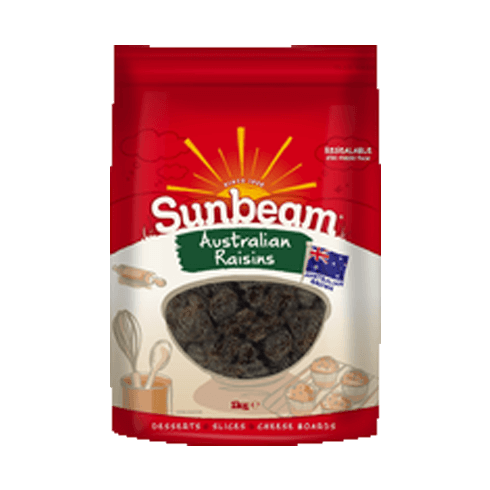 Sunbeam selects Thompson Seedless grapes grown across the Riverland, Mid Murray and Sunraysia regions of Australia to grace this pack. 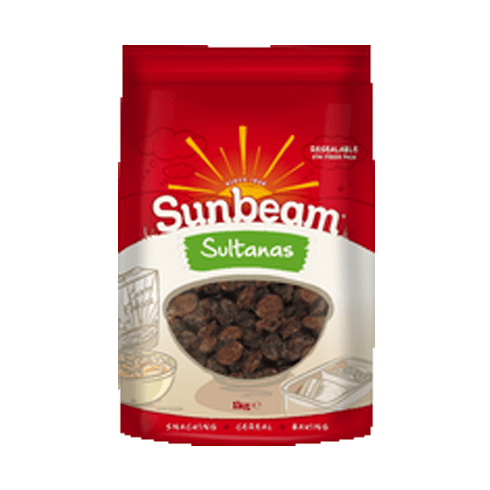 Not only do they taste great – Sunbeam Sultanas are also a source of fibre for digestive health and healthy tummies! 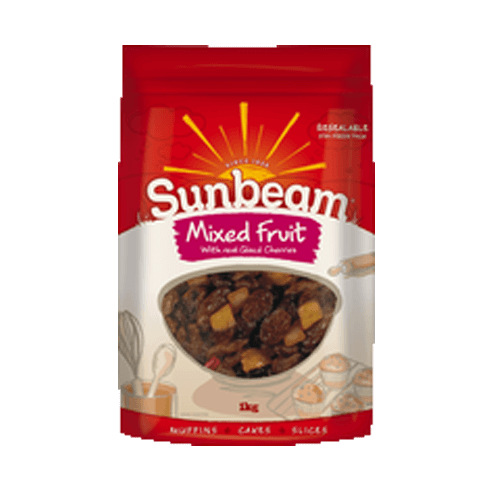 Add a handful to your cereal for a healthy fruit boost!